Trident Nuclear Submarine HMS Victorious. Defence Images/Flickr. Some rights reserved. In her first parliamentary debate as Conservative leader, the new British Prime Minister, Theresa May, decided to go ahead with a debate and decision on Trident on18 July. With Conservative MPs under a "three line whip" to vote in favour, and the Labour Party bitterly divided by a leadership struggle, the numerical outcome of the 18 July vote Twas no surprise. The motion was passed 472 to 117. All but one of the Conservative MPs filed into the 'yes' lobby. They were joined by 140 Labour MPs, freed up because the rush to vote just before parliament's summer recess pre-empted the Labour Party's review of nuclear policy, security and defence, which had been due in September. Lacking an agreed, up to date policy on nuclear weapons, Labour Leader Jeremy Corbyn, a long time advocate of nuclear disarmament, agreed for his MPs to vote "according to conscience". The Scottish National Party (SNP) and Plaid Cymru (Party of Wales) MPs joined 47 Labour MPs, most of the Liberal Democrats, the sole Green MP and a handful of others in voting against. Because voting in Parliament is an arcane ritual requiring the MPs to physically transport their bodies into either the 'yes' room or the 'no' room, options are constructed in binary terms. Labour's Shadow Defence and Foreign Affairs spokespeople, Clive Lewis and Emily Thornberry, called on colleagues to abstain in protest against the vote being taken before Labour's review was completed. The numbers don't show how many joined them, as abstainers are traditionally lumped in with absentees. Only one – who reportedly managed to get counted in both rooms – was recorded as an abstention. Prime Minister May was therefore given a majority of 355. The decision paves the way for contracts to be signed with BAE Systems to build four new nuclear submarines to deploy US ballistic missiles until the 2060s. While MPs disagreed on the size of the overall price tag, the government has set aside £41 billion just for the submarines. Though not mentioned in the government's motion, the vote is also likely to accelerate expenditure on redesigning and enhancing nuclear warheads, putting more taxpayers money into US arms manufacturers Lockheed Martin, which makes the Trident missiles, and Jacob's Engineering, who together with Serco run Britain's Atomic Weapons Establishment (AWE) as a profit-making enterprise. Theresa May. Liam McBurney/PA Wire/Press Association Images. All rights reserved. The motion that May introduced (though it had been filed by the outgoing PM, David Cameron), wrapped the multi-billion pound nuclear spending decision in layers of unsubstantiated assertions about past and future deterrence with references to continuously armed submarine patrols and Britain's defence jobs and skills. It ended with a passing nod to "key steps towards multilateral disarmament". Ringing particular warning bells in the United Nations, where the UK has this year been boycotting multilateral disarmament talks, the motion rather significantly departed from long-standing language in the nuclear Non-Proliferation Treaty (NPT), derived from years of important consensus agreements in the review conferences of 1995, 2000 and 2010. Instead, the motion echoed Russian preoccupations with stability instead of the broader international commitments that the UK had previously endorsed. These included President Obama's call to work for the "peace and security of a world without nuclear weapons", which was adopted as an NPT-related commitment in 2010, to "achieve and maintain a world without nuclear weapons", together with a disarmament action plan comprising a spectrum of approaches spanning unilateral as well as multilateral steps. These changes in commitments and tone were unmistakeable, but were they deliberate and intentional, or for some other reason? It is important to read the government motion in full: "that the UK’s independent minimum credible nuclear deterrent, based on a Continuous at Sea Deterrence posture, will remain essential to our security today as it has for over 60 years, and for as long as the global security situation demands, to deter the most extreme threats to our national security and way of life and that of our allies; supports the decision to take the necessary steps required to maintain the current posture by replacing the current Vanguard Class submarines with four Successor submarines; recognises the importance of this programme to the UK’s defence industrial base and in supporting thousands of highly skilled engineering jobs; notes that the Government will continue to provide annual reports to Parliament on the programme; recognises that the UK remains committed to reduce our overall nuclear weapon stockpile by the mid-2020s; and supports the Government’s commitment to continue work towards a safer and more stable world, pressing for key steps towards multilateral disarmament." Though some MPs tried in the ensuing debate to raise salient questions about the role and consequences of nuclear deterrence and weapons, and the proliferation and security impacts as well as financial costs of Trident replacement, they received short shrift. This exercise was not for parliament to scrutinise and evaluate Britain's security needs in the 21st century. The purpose and timing were determined by party political tactics and expediency, and it showed. David Cameron's motivation for rushing the Trident debate before the summer recess was seen by many as a ploy to distract from his own culpability over the Brexit referendum and sharpen the divisions in the Parliamentary Labour Party, which include but are not confined to disagreements about renewing Trident. 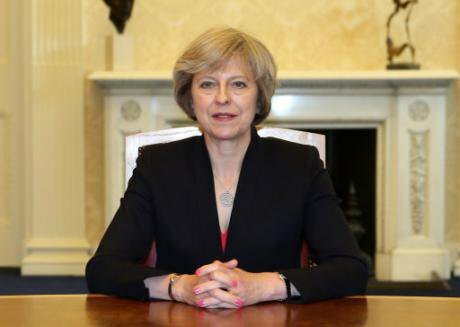 Theresa May had kept a low profile during the Brexit referendum, and after becoming Prime Minister on 13 July had many more pressing issues she might have been expected to prioritise. Particularly in view of her background as Home Secretary and relative lack of experience on defence issues other than terrorism, she could have postponed. Why, then, did May go ahead and make the four-submarine decision the first major policy vote of her leadership? It appears that one motivation was to demonstrate that she was "strong" on defence, especially as she published an article in the Daily Mail on 4 July, when she was still a candidate facing a potentially difficult leadership campaign, before the rest of the field got stabbed in the back or fell on their swords. In this she appeared impatient with even having the debate, declaring: "There is no room for compromise, and no room for cheese paring… It would be sheer madness to contemplate even for a moment giving up Britain’s independent nuclear deterrent." Appearing shortly before NATO leaders met in Warsaw on 8-9 July, the article was probably coordinated with Downing Street and the Defence Secretary, Michael Fallon, one of the few from Cameron's Cabinet that she retained. May argued that making a clear decision on Trident now would send "an important message that, as Britain leaves the European Union, we remain committed to working alongside our Nato allies and playing our full role in the world." Did she really imagine that NATO's serious concerns about the UK's role and economic stability in the wake of the Brexit vote would be allayed by a rushed-through commitment to spend billions of pounds on a new fleet of vanity-project nuclear submarines? This flies in the face of evidence. While carefully taking a neutral stance in public, significant members of NATO have been less than enthusiastic about efforts by the UK (and also France) to keep building and deploying nuclear weapons. Steven Erlanger's report in the International Herald Tribune on 12 April 2013 reported on efforts to encourage the British government not to go ahead with Trident replacement, also quoting a senior US official as saying, "They can't afford Trident, and they need to confront the choice: either they can be a nuclear power and nothing else or a real military partner”. This revelation did not surprise experienced NATO watchers and other defence analysts, including retired British General Sir Hugh Beach, who had long argued that NATO would be a more effective security alliance and provide more credible deterrence if it eliminated the nuclear component of its forces and doctrines. There is undoubtedly heightened concern about the deterioration in US-Russian relations, including arms control, and President Putin's role in the Ukraine conflict and increasingly bellicose behaviour, which includes nuclear posturing and sabre rattling, as well as cyber attacks that have been tracked back to Russian intelligence. 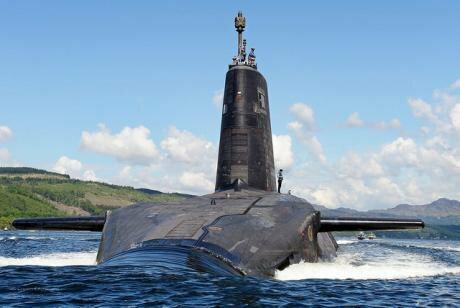 Concerns about Russia were understandably raised during the Trident debate. But as far as NATO and most of the world are concerned, nuclear weapons are part of the problem, not the solution. Though Theresa May did not specifically quote the version of deterrence theory that requires that an adversary must be kept uncertain about whether or not their aggressive behaviour would result in a nuclear attack, it underpinned the arguments she used in introducing the Trident debate. But uncertainty can cut several ways, and nuclear weapons are viewed by many these days as "more of a security risk than asset to NATO". Cameron's miscalculation over Brexit was bad enough, but miscalculations involving nuclear deterrence communications and weapons would be even more disastrous. The recent coup in Turkey provides us with a chilling example. In less than a fortnight after the Warsaw Summit, an attempted coup in Turkey caused military chaos at NATO's nuclear base at Incirlik, which houses around 50 US B61 nuclear bombs. Some officers reportedly "used the assets under [their] command to help the coup plotters mount an F-16 strike on the parliament". The American F16s were not on that occasion armed with any of the nuclear bombs, but the lesson delivered a sharp shock to NATO, which had only just adopted its Warsaw Summit Communique, promising that the Allies responsible for forward-deployed nuclear weapons "will ensure that all components of NATO's nuclear deterrent remain safe, secure, and effective." The context for rushing the Trident vote through in July was party political tactics. For different reasons, the same short term thinking led David Cameron to take such a huge gamble on voters being deterred from voting to leave the European Union. In classical deterrence terms he warned voters that they wouldn't like the consequences if they went ahead. But for various reasons a majority didn't believe him or dismissed his arguments as "Project Fear" – empty threats. And he bet high – using the security we derive from participating in all aspects of the EU's institutions as collateral. Cameron miscalculated and lost, so we all now have to deal with the consequences, however painful. With the country still reeling, it would have been prudent for the replacement Prime Minister to prioritise taking stock of Britain's needs and options in this fundamentally altered economic and security environment we face. She may find the unintended consequences of this Trident debate haunt her long after the context is forgotten. Not only her declared willingness to "to authorise a nuclear strike that could kill 100,000 innocent men, women and children" but in other ways that history could judge prophetic. The Trident vote has shown the UK to be unwilling to pursue the NPT's nuclear disarmament obligation and agreements in good faith. The motion only advocated "pressing for key steps". Compared with successive government statements since 1995, this could be read as merely encouraging others to take steps rather than continuing to implement the disarmament measures that the UK has already committed to. In that case, the Westminster parliament should not be surprised if others get on with the job of creating the conditions for greater safety and security in a world without nuclear weapons, with or without British participation. Part 2 of this series will be published on 6 August, Hiroshima Day. Part 3 will be published on 9 August, Nagasaki Day.